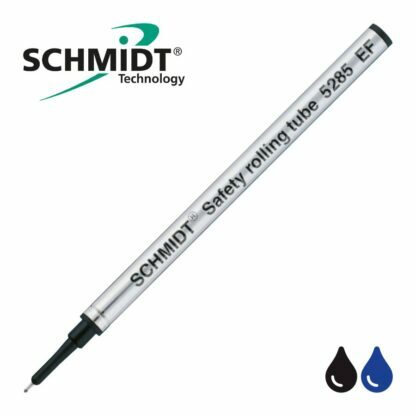 The SCHMIDT ® 5285 Safety RollingTube refill is a metal tube and stainless steel needlepoint tip with 0.5 mm Tungsten Carbide ball. The safety technology features extended shelf-life characteristics and is therefore particularly suited for use in pens without perfect sealing caps. A liquid ink offers great performance and easy handling with an easy and smooth gliding over the page. A 0.5mm Tungsten Carbide ball and Stainless Steel tip. All 100% designed and produced in Germany to exacting standards for pen manufacturers all over the world that rely on Schmidt liquid ink refills. 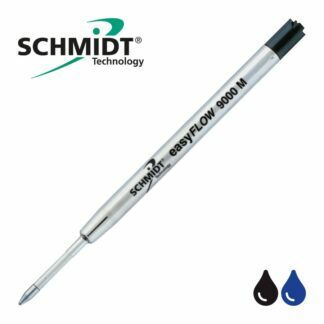 Stainless steel tips are lead-free. 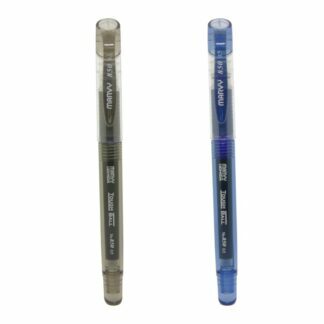 Acme, Aurora, Bexley, Cartier, Colibri, Conklin, Delta, Diplomat, Faber-Castell, Foray, Hauser, Hugo Boss, Itolya, Kaweco Sport, Krone, Lamy, Montegrappa, Monteverde USA, Omas, Pelikan, Retro 1951, Rotring, Sensa, Visconti, Waterford.